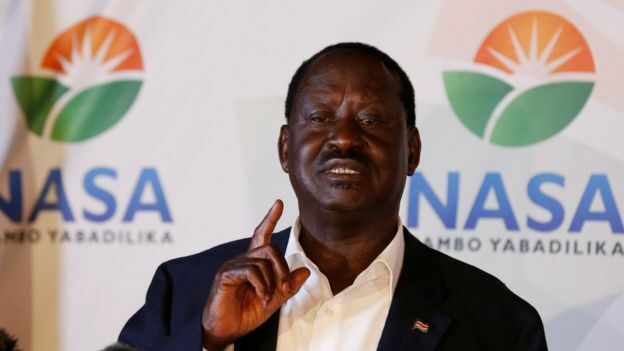 Many have haunted the opposition leader Raila Odinga ever since the big by-election loss suffered in two regions that had an Orange Democratic Candidate compete in both races. Both ODM candidates were trounced in the elections with Chris Karan losing the Ugenya seat to Movement for Democracy and Growth party candidate David Ochieng. Similarly, Irshad Sumra of ODM conceded defeat to Wiper candidate Julius Mawathe in the Embakasi South by-election. Well, Orange Democratic Movement (ODM) party leader Raila Odinga has dismissed claims of weakness and divisions within his party. He said that the loss by ODM candidates in the recently concluded By-elections in Ugenya and Emnbakasi South was not a big deal. The party and the Secretary general Edwin Sifuna had come under fire after Kenyans on twitter said that the party’s influence in Ugenya was weakening. The legislators hailing from the party had opted to address National issues in the campaigns rather addressing the issues faced by the people in Ugenya. The post Raila confirms by-elections loss was not a big deal appeared first on Kenya Today.